Agricultural metal (a.k.a. Agrocore) band from Varaždin, Croatia. We were formed in 2013. under the ifluence of the croatian grindcore band Patareni and czech Spasm. Since then we have played aprox.40 shows in Croatia and Slovenia and released two EPs, one single and a music video. 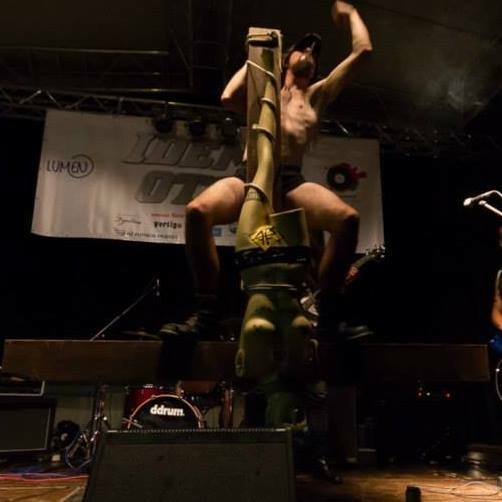 In a nutshell - Rectal Destroyer is playing metal-punk with themes about agriculture, construction-site working and farming and put up one hell of a show wearing farmer's outfits and farming props on stage. The current lineup is: Peronosphorus - Vocal/Bass Cuprablaus - Guitar/Vocal Botritis - Drums.